The news of the changes to the Ban List hit a few days ago, but they take effect today, so that makes it as good a time as any to discuss some of them. So without further adieu, let’s look at some of the changes here. Samsara Lotus has been Banned. This is an odd case where there is such a huge differential in the status of a card in the TCG vs the OCG. The card remained untouched (unlimited) in the OCG. 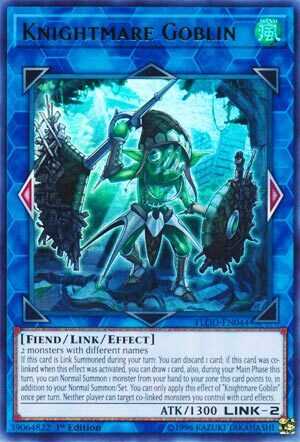 This is a modified, Plant version, of Treeborn Frog, and while it can be abused, I don’t believe a Ban was warranted here at all. Elemental Hero Stratos finds his way back to being Restricted after another go in Ban Land. Stratos is obviously one of the biggest engine/combo pieces of any Hero Deck, as well as a good attacker with his 1800 attack. Having him back in the arsenal is a great boon for the Deck. A-Assault Core also found itself Restricted this go around. It’s a powerful card, without question, but I suppose Konami felt it was too easily abused, and to a degree, I certainly understand that. Throw on the 1900 attack body as well, and it is a card that can cause trouble, while adding protection and Graveyard cycling. 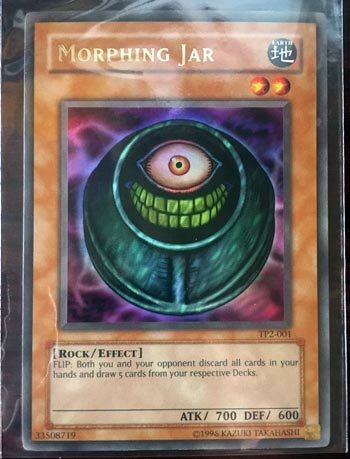 Morphing Jar also returns from Ban Land. This is a card, that over the course of time, has seen itself move up and down the list. A format with Morphing Jar, while awesome, is also dangerous. To quote Ex Minion of Darkness from a CotD ‘it’s broken as hell if you know what you’re doing’ and he’s absolutely correct. PSY-Framelord Omega is Restricted now, and we recently looked at this as well, on our Top Synchro Monsters CotD Countdown. This is a blow to Psychic players, as well an anyone who could easily make and produce a generic Level 8 Synchro Monster. I’m not sure this was entirely necessary either, however. Card Destruction, much like Morphing Jar, has seen its time up and down the list, and returns to Restricted from Banned. I’m fine with this too, I like combo cards, and it’s a card that can wreck an opponent’s strategy while speeding and assisting yours along. It should create plenty of trouble being legal. Super Polymerization comes back to Restricted status, and while helping any Fusion player, the Hero player should be the one rejoicing the most over this. Heroes love to Fuse, as Fusion is such a huge mechanic of that Deck, that having this weapon back in their arsenal is a beautiful thing. Scapegoat has gone to Semi-Restricted, which I’m very all right with. 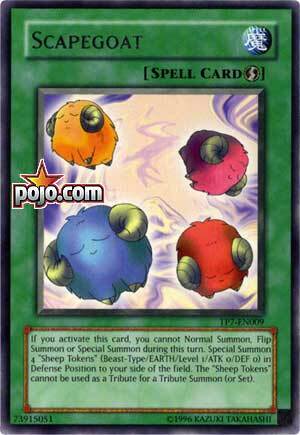 I don’t think Scapegoat should ever be more at one, even if it seems to be a flavor of the format card. But still being able to use two can be two very nice defensive additions and options for some Decks. Limiter Removal went from Restricted to Semi-Restricted, which also seems like a big mistake. This list is very much in favor of Heroes, but this just screams for Machine abuse, so I’d enjoy it and make the most of it…this could full well lead to a Limiter Ban next cycle, but that’s just a guess on my part. Terraforming is also Semi-Restricted. I don’t really feel we need more than one of these available either, but we’ll see how this plays out. Obviously it’s only a good thing for those of you who have and need a focal Magic card, or just need some additional Deck thinning, but we’ll see. Destiny Hero-Disk Commander went from Banned to Unrestricted completely, which also may be a rather large mistake, given how easy it is to abuse and Draw off this card. It was perfectly happy sitting up there in Ban Land not being able to be abused, but the Hero players are going to love this, as will others who need a Draw option.